La Maison Contreau is coming to Los Angeles November 7 and 8 to the Carondelet House. The events are free and you sign up on their website. 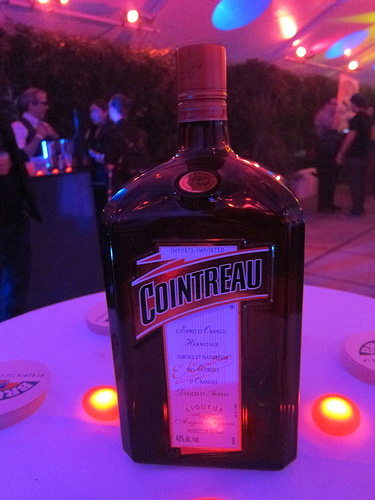 What’s going to be really cool is Cointreau has scanned almost 300 old cocktail books that will exhibited. I’d be excited to find the oldest recipe for a Sidecar! After exploring the books, you’ll get a hands-on mixology lesson with brand ambassador Kyle Ford. Afterwards, you’ll be invited for “feasting and dancing.” It sounds like a fun night and I’ll see you there. The NY Times has a great article about the event. This entry was posted in alcohol education, alcohol tasting, bar stories, bartenders, cocktails, events, history, la, la cocktails, los angeles, spirits, the minty and tagged cocktail books, cocktail history, contreau, dancing, event, feasting, history, kyle ford, la maison contreau, mixology lesson. Bookmark the permalink. Thanks! I’ll definitely be attending this!